Jay Shields Managing Director at Visual Management Systems Ltd. stated, "Although this was the first experience of the UK Security EXPO for Visual Management Systems Ltd., I believe that it was a significant opportunity for both the TITAN VISION team and our partners; Matrox, DAS business furniture, Content Wall for the Monitors and mounting systems and 360 Vision Technology". He added, "The booth was designed to represent a small section of a command and control room with operator console and controls, a 92 inch (diagonal) TITAN WALL video display and of course all running the flagship TITAN VISION PSIM (Physical Security Information Management) software platform with live CCTV camera feeds plus the CPNI secured version TITAN SECURE". Sales Director John Downie observed, "The level of interest was quite outstanding. 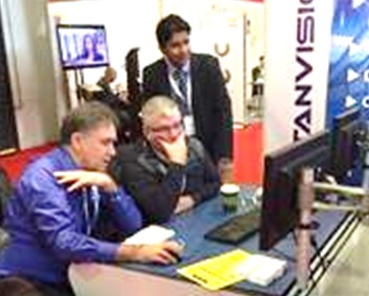 On occasion the team of four from TITAN VISION plus our partners were inundated with interest in all aspects of the solutions on display". "Demonstrations were well attended on both days with particular interest in high level integration, cyber security and data management, clearly this type of solution will have substantial impact on securing Critical Infrastructure over the coming years". "With visitors from across the globe representing several of our key target market areas, the event proved extremely valuable and we will be back for the 2017 event". 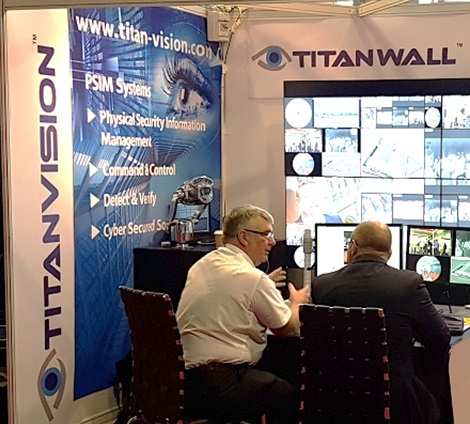 Jay also pointed out, "We now turn our attention to Intersec 2017 in Dubai where we will be partnering with 360 Vision Technology to present TITAN VISION, TITAN WALL and our deep integration solutions to a focused and valuable international audience". "Represented by agents Adenar in the Middle East, Visual Management Systems Ltd and the TITAN VISION team look forward to presenting the latest solutions in the TITAN portfolio including the international launch of the next generation 'Detect and Verify' and 'Command and Control' systems - Watch this space for details!"